Google has been given the green light to acquire travel technology firm ITA Software after reaching an agreement with the US Department of Justice (DoJ). ITA Software's technology is used widely by airlines and online travel sites for flight bookings. It is crucial to Google's plans for a service to handle airline-related questions, such as flight prices, times and availability and to display this information in search results. 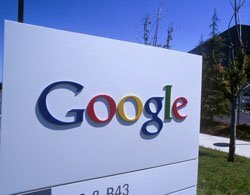 Google announced plans to acquire the airline flight and ticket information company for $700m (£427m) in July 2010, but online travel companies - including Microsoft and Expedia - opposed Google's ITA Software deal because of concerns Google will prevent others using ITA's technology. The agreement with the DoJ will allow US antitrust regulators to monitor part of Google's business for the first time, according to the Financial Times. The agreement also requires Google to license ITA's technology to rivals, and to set up firewalls to prevent information from other companies that use ITA's systems from leaking into its own operations. The agreement also sets up a mechanism for travel businesses to complain to the DoJ if they think they have been treated unfairly by Google's search engine. Such agreements are rare, but a similar arrangement was put in place recently when Comcast bought NBC and in 2002, when Microsoft agreed to licence some of its technology to rivals until 12 May 2011.